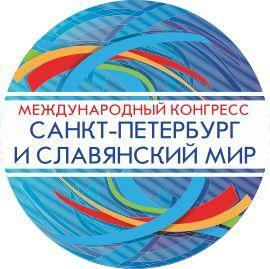 On December 06, 2017 the Committee for external relations of Saint-Petersburg with organizational assistance from Saint-Petersburg Chamber of Commerce and Industry held a plenary session dedicated to the topic of “The Role Of Green Technologies and Their Successful Implementation in the Life of Cities” within the framework of the V International Congress “Saint-Petersburg and the Slavic World”. 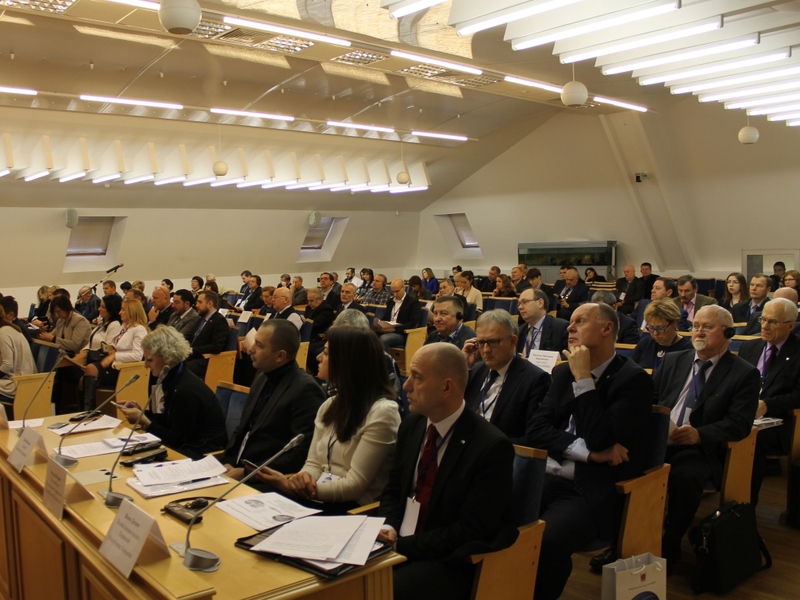 The annual congress is focused on development of multilateral cooperation between cities and regions of countries of Eastern Europe and the Balkan Peninsula. City administration officers, representatives of Chambers of Commerce and Industry, consular and diplomatic institutions from the Republic of Bulgaria, Republic of Serbia, Republika Srpska of Bosnia and Herzegovina, Republic of Slovenia, Republic of Croatia, Czech Republic, Slovak Republic, Republic of Belarus took part in the plenary session alongside with the officials of the relevant committees of the Government of Saint-Petersburg and representatives of Saint-Petersburg business community, scientific and social organizations involved in the field of green technology issues and ecology. 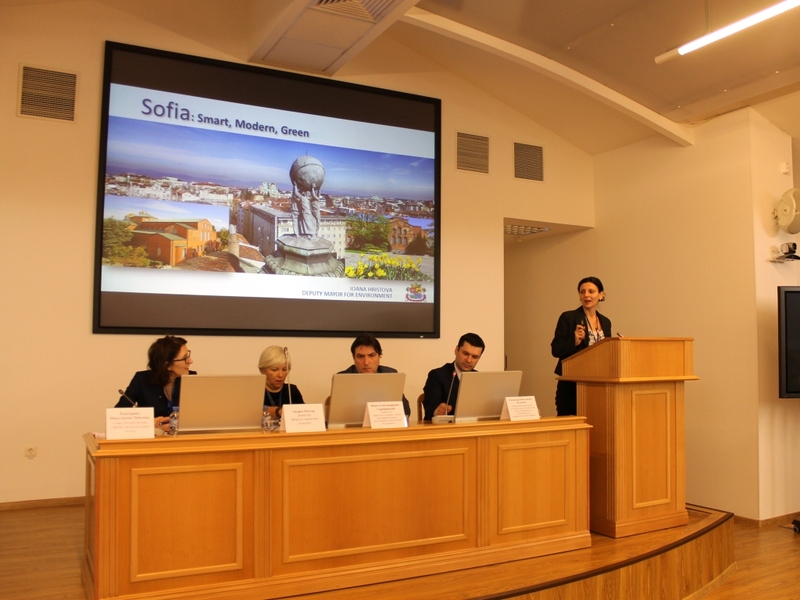 The event that took place at the venue of SUE “Vodokanal of Saint-Petersburg” was moderated by vice-president of SPb CCI Ms. Ekaterina Lebedeva and co-head of GreenEcoLab Interregional Center for Eco-Development of the Peter the Great Saint-Petersburg Polytechnic University Mr. Vladislav Balskiy. 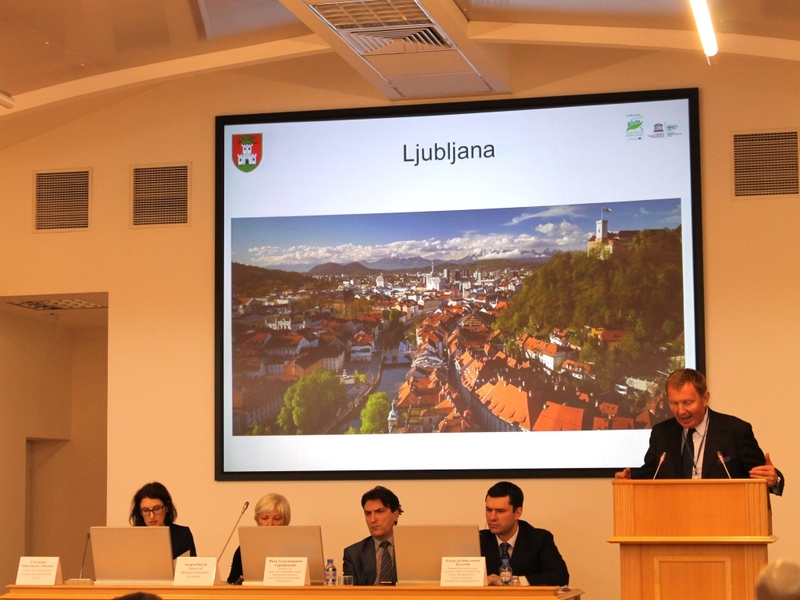 Ms. Andrea Richter – the Director of the Forum of Slavic Cultures (Republic of Slovenia) – opened the plenary session with a presentation dedicated to the topic of “Green Technologies Coming Hand in Hand with Culture”. Representatives of a number of countries shared their experience in the field of implementation of green technologies and their role in the development of municipal infrastructure: the issues of municipal waste recycling, problems of water purification and air cleaning, most up-to-date construction technologies and materials used in building, new developments in the field of landscaped areas of cities were all hotly debated over alongside with the issues of alternative energy. The topic of ecology is of great interest for many a large city. 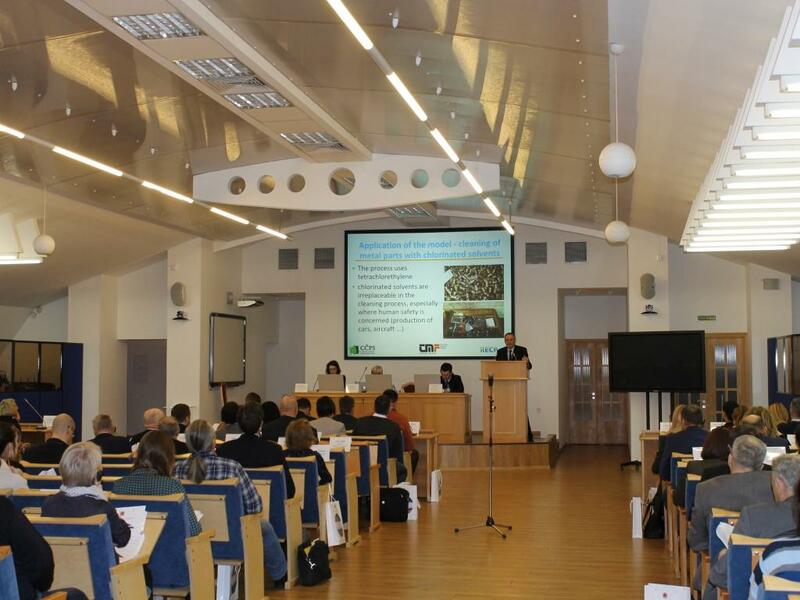 Evident attention is given to the topic of improvement of quality of urban environment and securing ecological well-being in the Strategy for economic and social development of Saint-Petersburg till the year of 2030. Among other strategic targets in that field special consideration is given to the following: increasing the effectiveness of management in the field of handling of production and consumption wastes, advancing the system of sanitary purification of the territory of Saint-Petersburg, prevention and reduction of negative impact on environment, compensation for harm done to the environment and environmental remedial actions, increasing the environmental safety of Saint-Petersburg, increasing the use of level of environmentally benign technologies. Study and sharing of experience in the specified fields with Saint-Petersburg’s partners can as well help the city with accomplishment of the abovementioned objectives. 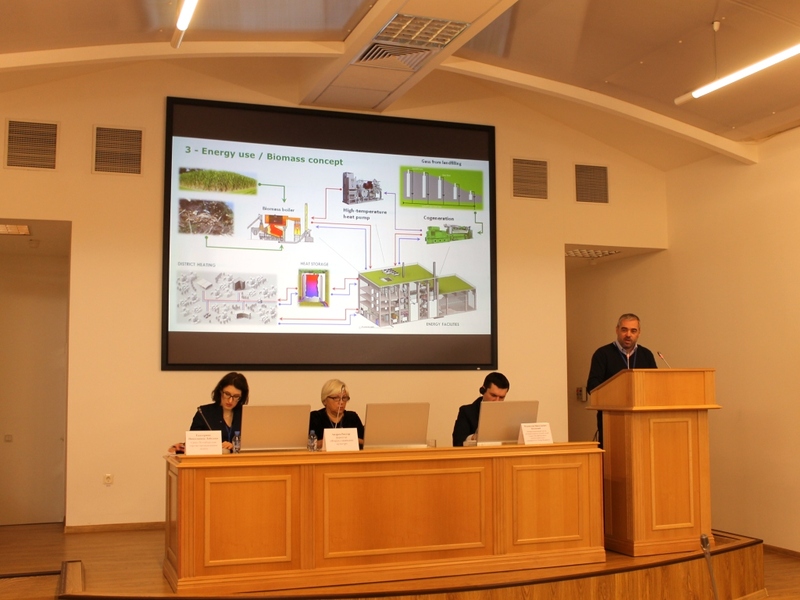 A day earlier within the framework of congress the guest delegations had the opportunity to become acquainted with the best practices of Saint-Petersburg and implementation of green technologies in the life of the Northern capital. The following events took place: a visit to one of the most important facilities of the canalization system in the Baltic Sea region, the most advanced wastewater treatment technological complex – South-West wastewater treatment plant of SUE “Vodokanal of Saint-Petersburg”, an insight into the manufacturing process and usage of infrastructure for electric vehicles of Audit Energo Group LLC, a visit to Skandi klubb compound of Bonava Saint-Petersburg LLC. 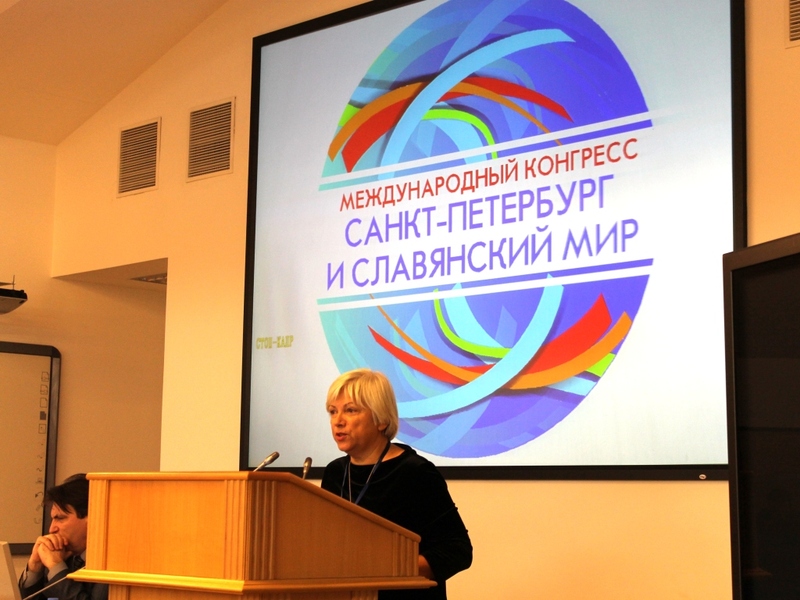 Furthermore, on December 05, 2017 the signing of Memorandum on cooperation between Saint-Petersburg and “Forum of Slavic cultures” international non-governmental organization took place with the schedule of events for the years of 2018-2019 included. The Governor of Saint-Petersburg Mr. Georgy Poltavchenko and Director of the forum Ms. Andrea Richter affixed their signatures to the document. The signed Memorandum shall facilitate cooperation in the human sciences. More specifically, exchanges among theatre ensembles and musical bands are already planned for the year of 2018 as well as joint projects in the field of book-publishing and education.